FUKUOKA - Minamata in Kumamoto Prefecture has long been known mainly for a deadly industrial pollution debacle that occurred decades ago, but a dancing teacher hopes he can help reinvent it into the city of samba. 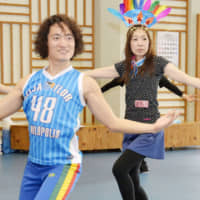 Masashi Ito, who prefers to go by his first name, has been teaching the Brazilian dance to local women since November and hopes to eventually produce a movie about his efforts. Masashi, who moved to the nearby city of Kumamoto in 2012 from Tokyo, first traveled to Minamata in January last year and fell in love with the Yatsushiro Sea, which Minamata faces. He soon began wondering why Minamata draws so few tourists despite the sea being declared safe in 1997, several decades after chemical firm Chisso Corp. repeatedly dumped mercury-tainted water into it in the 1950s and 1960s. Minamata disease affected those who consumed contaminated seafood, causing paralysis in the hands and feet and defects in an individual’s sight, among other ailments. It also caused birth defects. Masashi, who began practicing samba 17 years ago and has won an award at Rio de Janeiro’s Carnival, made up his mind to contribute to the city the only way he knew how — through dance. 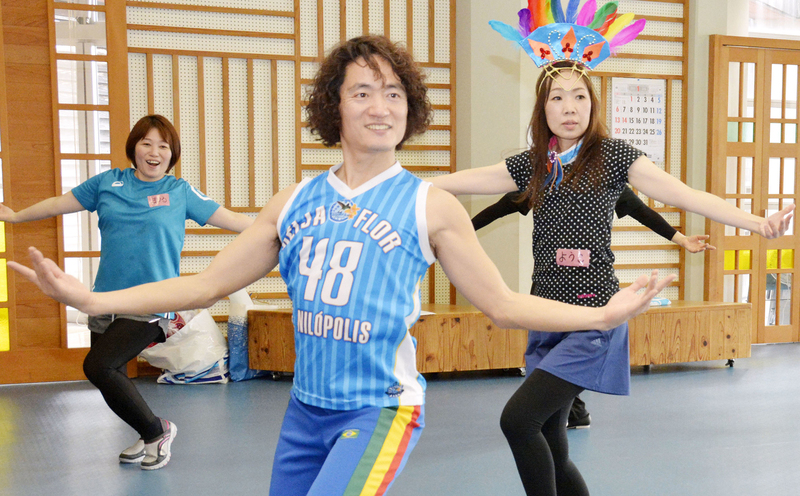 His plan for a movie to capture the struggles of local women to master samba was inspired by the 2006 hit “Hula Girls,” which depicted local girls’ efforts to become hula dancers at a spa facility to revive a declining mining town in Fukushima Prefecture. Masashi has found connections between the area and Brazil, noting that many of the Japanese immigrants to the South American country originally came from Kumamoto Prefecture. He also says he finds the coastline around Minamata to be as beautiful as Rio’s Ipanema Beach. Since November, some 20 Minamata women, all novices, have taken samba lessons at a municipal facility. The women are scheduled to perform on stage in late March in Minamata. During the event, a video of their practice scenes will be released to promote the planned movie. Masashi is planning to start a crowdfunding campaign to raise funds for film production. “I’d like to convey the charms of Minamata by creating a movie that can really lift up viewers,” Masashi said.